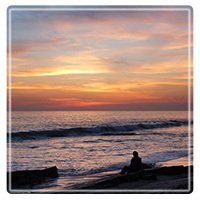 Newport Beach Therapist: Sober Living by the Sea - Therapist 92663. Send A Message To Sober Living by the Sea. Known for excellent treatment and quality care, Sober Living By The Sea offers comprehensive support for chemical dependence for adults ages 18 and older at three California locations including: Sunrise Recovery Ranch (Riverside, California), The Rose (Newport Beach, California), and The Landing (also in Newport Beach, California). These centers have been helping men and women overcome addiction for more than 25 years, offering options for gender-specific treatment in a tranquil setting. During their time at Sober Living By The Sea, men and women can leave the pressures of daily life behind, and instead focus their efforts on overcoming the perils of addiction. Each program in the Sober Living By The Sea Network honors the dignity in every patient, and provides an atmosphere that is conducive to overcoming a dependence on alcohol, heroin, prescription drugs, or other illicit substances once and for all. In addition, patients can receive support for certain co-occurring mental health conditions such as anxiety or depression. Often, one’s substance abuse can be exacerbated by untreated mental health issues, and therefore it is imperative that both be addressed simultaneously when the need arises. Upon admission, each patient will be assessed to determine the specific level of care required to yield the most beneficial outcomes to his or her time in treatment. From there, a personalized plan of care will be created that takes into account the unique strengths, challenges, and history that each person possesses. Regardless of which center the patient attends, he or she will have the option to engage with medically monitored detoxification services (as needed), residential treatment, partial hospitalization programming (PHP), and outpatient services. Patients can then transition to less intensive levels of care as appropriate, ultimately working towards discharging from the center with a plan in place to continue to build upon their success. During their stay at a Sober Living By The Sea center, patients can attend individual, group, family, and experiential therapies designed to help them meet their personal goals for recovery. With many options to choose from, each person will be provided with the scientifically-backed treatment modalities that can effectively address their primary concerns. These services will help each man and woman learn new ways of coping with stress that will assist them as they embark on a substance-free life. Together with the support of a highly skilled team, patients who seek treatment at each Sober Living By The Sea center will gain the tools and skills they need to overcome addiction once and for all, and to set the course for a healthier, happier life.